What is Maida Vale Studios? 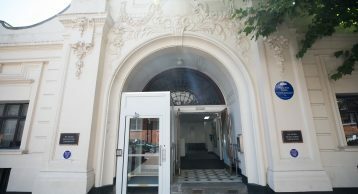 Maida Vale Studios is a complex of seven BBC sound studios of which five are in regular use. 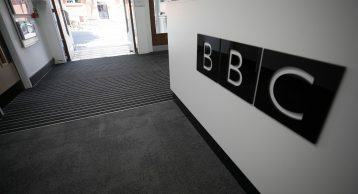 Since its launch in 1934, the studio has been used to record thousands of classical music, and dramas for popular radio channels such as BBC Radio 1/2/3 etc. 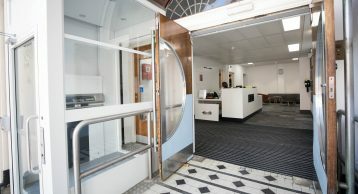 It has also been the home to BBC Symphony Orchestra. The world’s biggest pop stars – from Led Zeppelin to Radiohead and Jay-Z to Little Mix – have all performed there. With such a prestigious history of the studio, keeping it in the best shape possible is critical. We know very well that dirt that is trafficked into the building can ruin the aesthetics of the interior. In most cases however, it can do much more than that. Fine particles of dirt can scratch the flooring beyond and leave permanent marks. 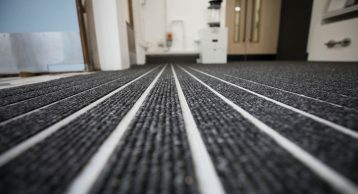 Dirt and moisture can leave the flooring in an unsafe condition and present a trip hazard, and finally it can often rack up unwanted cleaning bills. 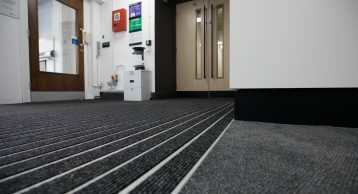 By carrying out a site survey, we were able to accurately consult the client in install the correct type of Entrance Matting to prevent the ingress of dirt and moisture into the building. 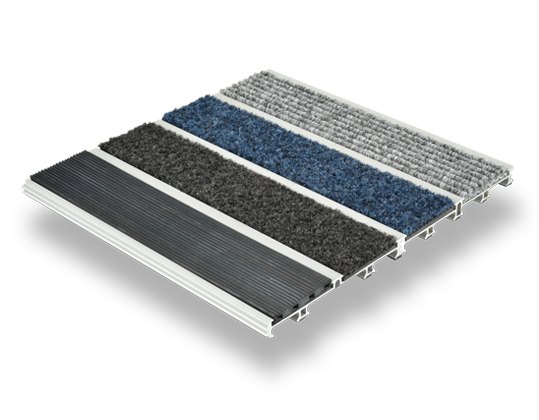 We recommended the use of INTRAform DM as it has extra wide channels for fibre to absorb maximum dirt and moisture. 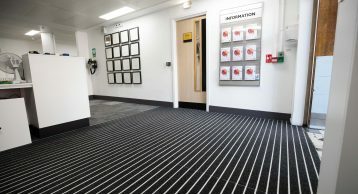 We also recommended the use of our INTRAlux Linear sheet fibre because of its ability to function under heavy traffic and its suitability for all internal circulation areas. We truly believe that this fibre is the perfect balance of a cost-effective polypropylene and robust performance. This innovation by design is only possible as a result of our hard-working product development team who are always looking to create truly stunning entrances. 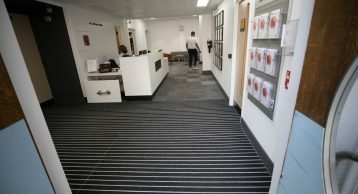 Installing recessed Matting at the Entrance of the BBC Studios a great way to sustain the life of the flooring beyond therefore improving the aesthetics of the interior and enhancing the building. We feel it is our DNA to Enhance Buildings by Design and in doing so offer the most robust, functional and stunning design possible.